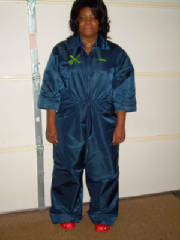 Nylon Jumpsuit w/zipper closure, front inset pockets & drawstring waist. 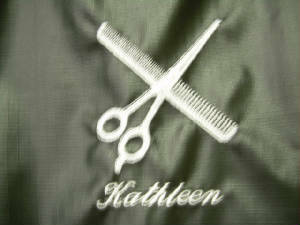 Beauty & Barber Salon Scrubs! 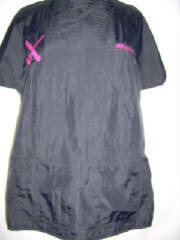 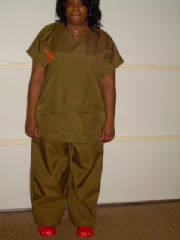 Scrub top has large front pocket. 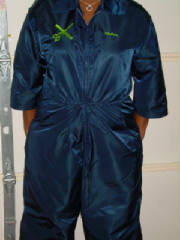 Pants have drawstring waist.